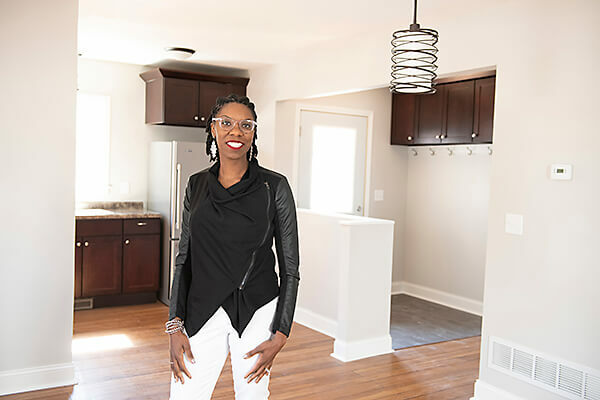 From blight to beautiful home for sale: This charming bungalow was previously vacant and completely renovated by local contractors of color. With a sizable back yard and new fencing, this home is perfect for a new family or pet owner. Features include 2-bedroom/1-bathroom; new kitchen and bathroom; finished wood floors; new appliances; new vinyl siding; all energy efficient windows and entry doors; new energy efficient furnace, water heater and A/C; 1-car detached garage. There’s opportunity to add a third bedroom in the lower level. Location is just south of Bohanon Park and Jenny Lind School, a few blocks from Humboldt Greenway and the North Mississippi Park. Make this house your home.